With Apple and Samsung bringing out a new phone very frequently, we are always adding new phone cases to our line up. Our latest additions are those for the iPhone X and for the Samsung Galaxy S8. All phone cases are made with our signature combination of polycarbonate and wood. 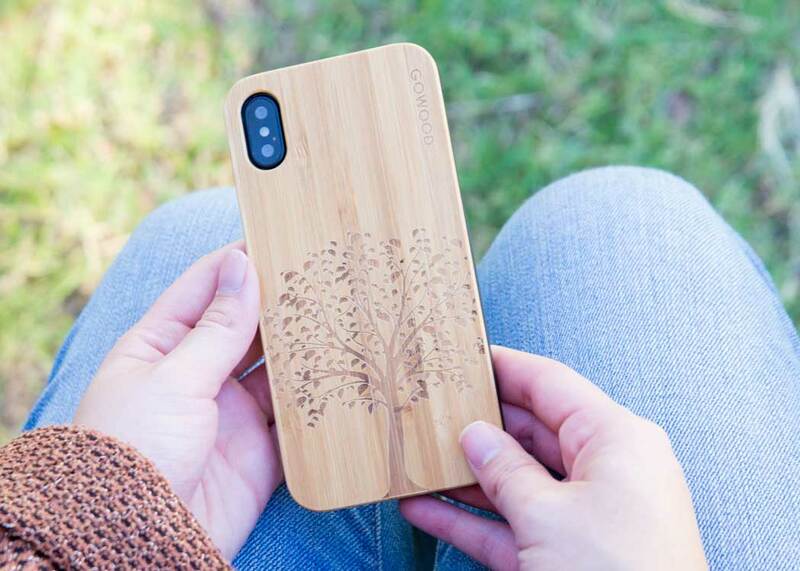 The polycarbonate material makes sure your phone is protected against drops, while the wood back side breathes nothing but real natural beauty. 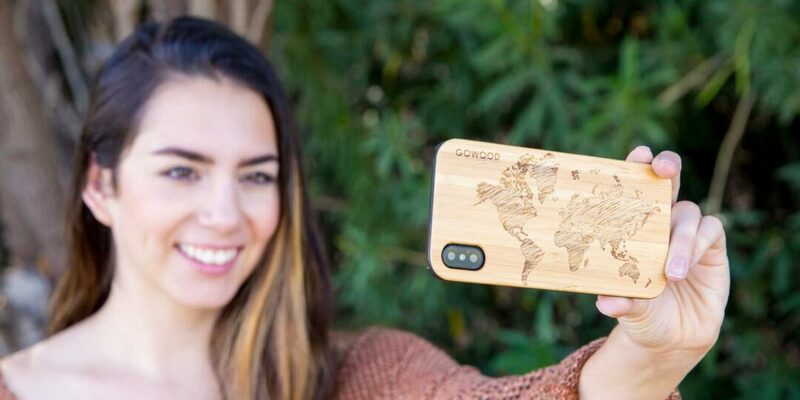 As you are used to from our phone cases line up, we offer three models in bamboo, with a tree, world map and deer engraving, as well as a natural walnut version. We invite you to check out all our iPhone X and XS wood phone cases here or you can check out our all our Samsung Galaxy S8 wood cases here. At Go Wood we believe in quality! Our wooden sunglasses are all made out of high quality wood and are manually assembled for optimal quality assurance. Our sunglasses are comfortable, light weight and have polarized glasses. After your purchase our commitment to quality doesn't end though. Your glasses are shipped in an accompanied wooden box to protect the wooden sunglasses during transport. If your sunglasses, for whatever reason, do not meet your expectations, you can return them free of charge within 7 days and we will reimburse you. No questions asked! (Of course under the condition they are not damaged). Read more about our free return policy here. Follow us on Facebook or any other social media platform and stay informed about our latest products and more. Signup to our newsletter and we will thank you by giving you a 10% discount voucher for your (next) purchase. And we'll thank you with a 10% discount voucher!